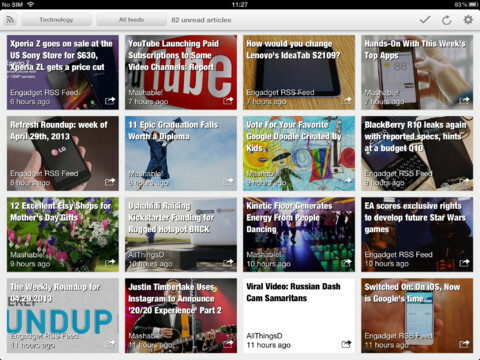 Erudito News Reader iPad App Review: A Google Reader Replacement? There are plenty of people who use Google Reader and are still coming to terms with the fact that the service will be discontinued in just a handful of weeks. Many people are still weighing their options and trying to figure out which alternative will best suit their needs. Erudito News Reader may be one such alternative. 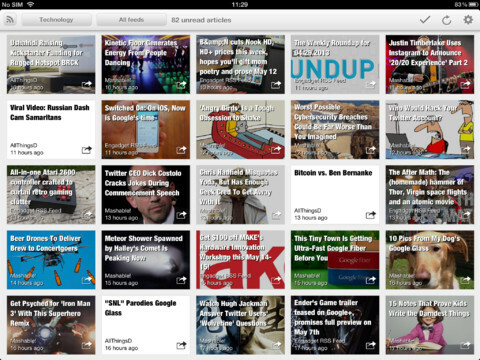 From the launch screen, you can easily import your Google Reader categories and feeds. In addition, you can add custom RSS and ATOM feeds. There’s also a demo account you can play around with if you need a visual reference to help you get your bearings within the app. One thing that’s really nice is that the Erudito team specifically set out to create a browsing experience that wasn’t dominated by endless scrolling. Instead, you scan see a whole pile of articles at a glance thanks to Erudito’s tile-based system of displaying headlines. While it does take a little while for images to load into these tiles, the overall effect is quite stunning. 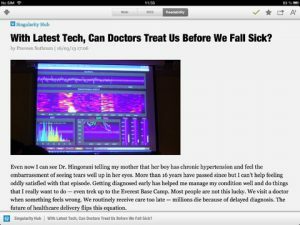 It is easy to pick and choose articles, and this is a much nicer browsing experience than scrolling or tapping endless through RSS feed headlines. One thing that is nice about Erudito News Reader is the transparency. The developers are open about addressing issues, and also let users know what kind of improvements can be expected in Erudito’s future. Planned improvements include iPhone support, improved feed discovery features, and improved socialization features. 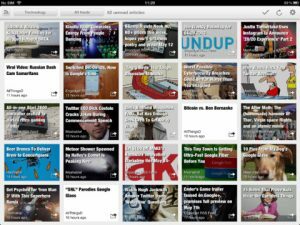 With the ability to send news items to Pocket, Readability, Facebook, this promising app is definitely an up-and-comer. 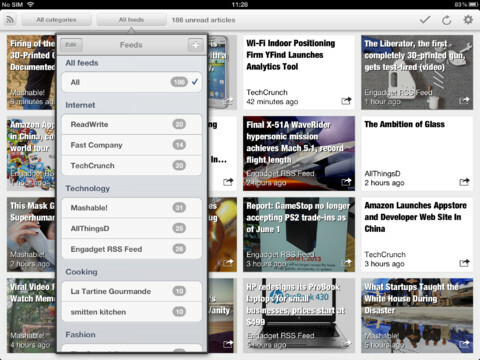 If you need a good iPad RSS feed reader, this is a worthy choice. 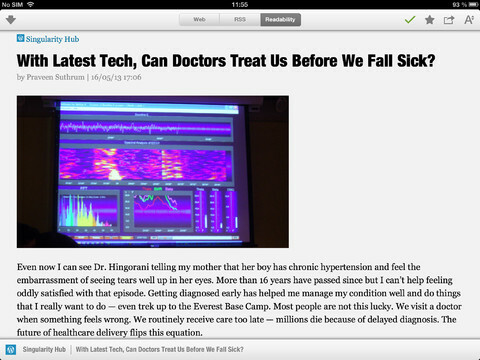 Erudito News Readeris compatible with iPad. Requires iOS 5.1 or later.